Last year, Dr. Sergio Canavero created quite the ruckus (to put it mildly) when he vowed to be the first person to transplant a human head onto a deceased donor’s body. 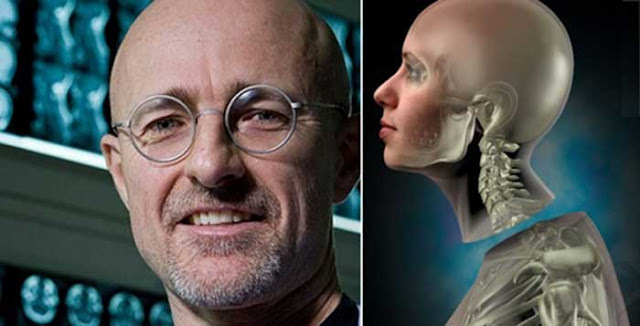 Yes, he is planning on attempting the world’s first human head transplant (or body transplant, depending on how you look at it). In fact, it has been about a year since his initial proclamation, and the Italian neurosurgeon still stands firm on his declaration, despite claims from other experts that it is nothing but a PR Stunt (at best) or a hoax. Some have even hypothesized it’s all just a plot meant to promote Metal Gear Solid. This last claim is due to the doctor’s uncanny resemblance to one of the game’s main characters (it must be noted that there is scant evidence to actually support this hypothesis beyond this). Honestly, it has been a story full of drama and sensationalist publicity. This whole mess went so far that talks of lawsuits were flying all over the place. But Canavero stands firm, insisting that the attempt must be made at some point. So, why not now? “Of course there will be ideas that crater. The history of mankind is trial and error. But we have to be dreamers. If you don’t dream, you’re not going anywhere. You might call me a bit crazy. A kook. I am! You have to be if you want to change everything,” he said in an interview with The Guardian. At the annual meeting of the American Academy of Neurological and Orthopaedic Surgeons last year, Canavero tried to recruit US surgeons to join his head transplant team. And now, it seems that he is actually moving forward with this work. He says he has assembled a team of surgeons from China, South Korea, and Russia. All they are waiting for is approval and, well, money. His collaborator, Dr Xiaoping Ren of China’s Harbin Medical University, claims that he was able to successfully transplant the head of a monkey onto another monkey in January, but that it had to be euthanized for “ethical reasons” 20 hours after. Yet notably, the spinal cord wasn’t actually attached (which raises significant questions about the viability of such an operation on a human). Although a lot of attention centered on Russian volunteer Valery Spiridonov, who suffers from a Werdnig-Hoffman disease, Canavero now clarifies that the first patient to undergo the head transplant will be a Chinese patient. “We’re looking at a date around Christmas 2017 to perform the transplant in China. The Chinese team has already experimented on human cadavers to hone the technology,” Dr. Canavero revealed. Many argue (a majority of scientists working in this field) that a head transplant is currently impossible, despite advancements dealing with spinal cord problems. Recently, we covered how scientists were able to regenerate spinal cord axons, but even that procedure takes a lot of time, and it is a very recent development…one that is probably not a part of Canavero’s plan. Most say that the surgery will end in death. Others note that it may actually result in something far worse than death, as the difference in brain chemistry could overwhelm the patient and cause a level of insanity never before seen. Canavero calls the procedure the “head anastomosis venture,” code-named “HEAVEN.” But is it? It may lead to new knowledge and information, but as other experts note, it will likely also lead to the patient’s death and (very possibly) no information that we couldn’t obtain through working on cadavers.